While Nevada casinos continue to focus more on amenities to grow, gaming revenue continues to make a comeback. Nevada’s gaming revenue rose 3.2 percent in the past 12 months and has had its best run since coming out of the Great Recession, according to Brent Pirosch, director of gaming consulting with CBRE. The Nevada Gaming Control Board released its latest figures today (July 31) showing statewide gaming revenues in June reached $933 million, a 4.17 percent gain over June 2017. As for the last 12 months going through the end of June, Nevada revenue was $11.8 billion, up 3.2 percent from $11.4 billion in the 12 months before that, according to the Gaming Control Board. Excluding the Strip, Nevada was up 4.8 percent, Pirosch said. Clark County as a whole was up 2.79 percent in the 12 months that just ended. The Strip was up 2 percent and downtown up 3 percent. Those 12-month numbers statewide and even those for the first six months of 2018 are also the best since before the economy tanked nationwide in 2008, Pirosch said. The gaming revenue during the first six months of this year was $5.99 billion, up 4.2 percent during the first six months of 2017. In comparison, that statewide number was $6.38 billion during the first six months of 2007 and $6.04 in the first six months of 2008. Pirosch said as long as employment stays strong, there’s no cause for concern with continued growth in gaming revenue. In Clark County in June, gaming revenues rose 3.45 percent in June to $790.9 million. The Strip was up 5.3 percent to $523.9 million, while the downtown fell 4.4 percent. North Las Vegas fell 4 percent from June 2017. The Lucky Dragon, which had boosted downtown’s numbers for the more than a year it was open, closed the casino in early January 2018. “We believe same-store growth downtown is still ahead of the headline number as the downtown story remains strong,” Pirosch said. The local’s gaming market was up slightly by 0.9 percent in June versus June 2017, but the local market’s long-term trend is on fire by being up 4.4 percent in the trailing 12 months, Pirosch said. 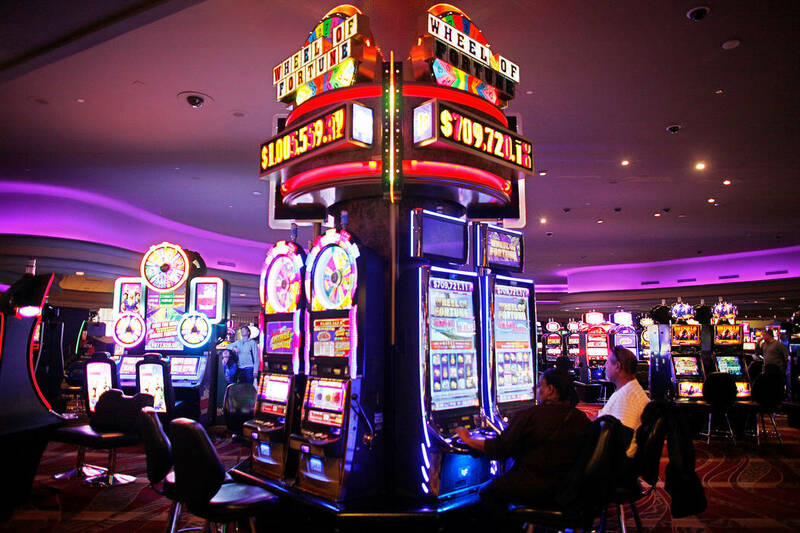 The reason is table games and slot volumes are up 3.7 percent and 3.6 percent, respectively, he said.